While I’m focusing on game design, I still made a bunch of stuff in the past that’s still worth sharing. So here’s my books, cartoons, and whatever else I’m not yet embarrassed to share. Everything else will be locked away in the archives for now. I started writing these back in 1997, and I kept rewriting them for almost 20 years before a friend inspired me to finish one of them for NaNoWriMo. 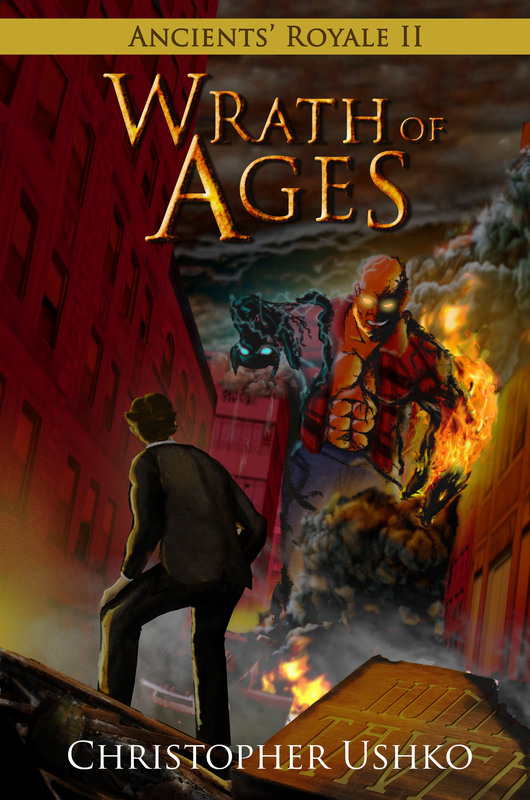 The finished saga is a satire on young adult novels and “epic trilogies” that mashes up world history with mythology in an ever-escalating battle between divine forces. These are available on Kindle, but I will make them free once in a while. Halifax is under siege. What happens when the city you live in is suddenly enclosed within a magical dome and overrun by mythical monsters and a demon sorceress? The end of the world is near and the only possible saviours are Jesse and Nigel, two tavern owners with a secret history of dealing with this kind of problem. Ancients demons are searching for the key to Pandora’s box, and in order to defeat them, a liquor store clerk, a vampire, a Greek god, and an assortment of legendary figures from across history will team up with Jesse and Nigel to save their maritime city. The world may never be the same again… or will it? The Titans have returned. It took nine thousand years for Halifax’s local Fire-Blood brothers, Jesse and Nigel, to free themselves from the madness of the demon sorceress. It took just a few months for their lives to fall apart once more. The ancient gods have returned to rule mankind, and in doing so, have reawakened the wrath of an elder warrior race, placing humanity in the crossfire of an epic war. To make matters worse, a sinister new threat lurks in the shadows. A mysterious man with ties to Jesse and Nigel’s past wanders the Earth, pulling the strings of this war for his own dark agenda. With a pantheon of problems and Christmas around the corner, Jesse and Nigel will leave their humble tavern in Halifax, team up with allies old and new, and race against time to restore order to the world in this action-packed, globe-spanning adventure. To save Heaven… they must unleash Hell! Cities around the world are disappearing. Ancient immortals are being hunted by a mysterious assassin. 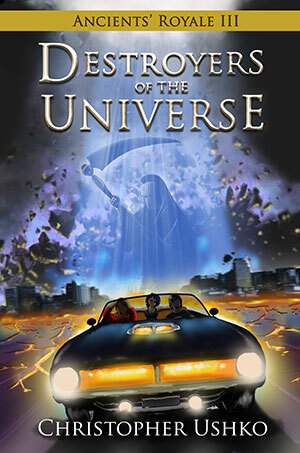 The afterlife is in turmoil and God is nowhere to be found. To make matters worse, in a small tavern in downtown Halifax… the plumbing is broken. It’s been an eventful year for the Fire-Bloods, Jesse and Nigel. Between freeing themselves of the demon sorceress and surviving the Battle of Ragnarök, it seemed they could finally lead a normal life. But one loose end has set the final gear in motion, unleashing four otherworldly horrors to cleanse the universe of its impurities, with Jesse and Nigel on the list. To combat this new evil, they will journey beyond the veil to the literal ends of eternity, allying with friends and foes to save the Great Hereafter from annihilation. 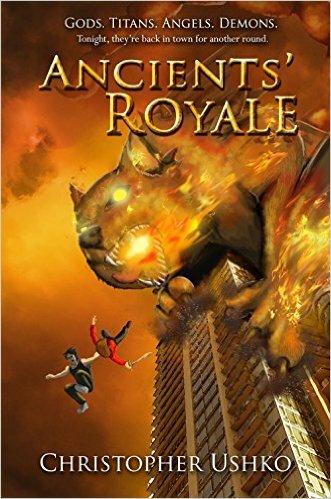 Twists and turns, action and comedy, and a flying space whale are abound in this reality-bending finale to the “Ancients’ Royale” saga. The site’s oldest and most popular feature, follow Scrooge and the boys as they fight to protect the money bin from the evil Glomgold, square off against ghastly ghouls in the mansion, and save the world from an intergalactic assassin in their many adventures. The cartoons are available for viewing until the House of Mouse’s lawyers say otherwise. Just some old comics I drew. Here they are.